How would you like to introduce yourself to the readers? My name is Missy Davis Jones, and I live in Florence, SC. I am originally from NJ, but also lived in Los Angeles for eight years before I moved here to be close to my husband’s family. My husband, Ken, and I own a recording studio called Southern Harmony Recording here in town, as well as the record label Yonder Music. I’ve always been passionate about music, and I’ve dabbled in many facets of the industry since I was a teenager (band photographer, band merch buyer/manufacturer, the list goes on) but really found my niche when I started producing and developing some of the local talent in this region of SC. What made you start a record company in days of copying and the Internet? Sheer stupidity and madness? HA! Actually I’m mostly driven by the fact that there is abundant, world class talent right in my backyard that deserves to be heard by music lovers all over the world. South Carolina has limited opportunity and resources for singer-songwriters, it’s hard to get anywhere without relocating to larger markets like New York, Nashville, LA, and Atlanta. But I felt the level of talent here was too incredible to waste, and decided to do something about it. We’re more of a holistic artist development agency than a traditional label, and that allows me some latitude in terms of finding different ways to seek out opportunity for my roster. The recording industry is really struggling to figure out how to make money. I do not expect to solve any of those problems – I mean if Warner Brothers can’t figure it out, what makes me think I can, right? My only real expectation is to make great records, and I think we can, and do, accomplish that. I’d also like to not go so deeply in debt that I lose everything we have worked for over the years. But if I can break even eventually, that would be fantastic. I understand that without great risk, there’s no great reward. I told James Scott Bullard (one of my artists) that you have the rest of your life to make money, but only a short window of time to make history. 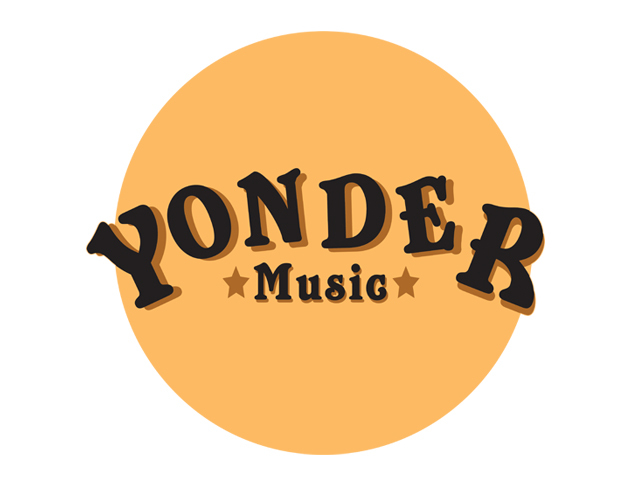 I guess I expect to make something memorable, or at least that’s the hope everyone involved with Yonder has – to create something special and beautiful that will outlive us all. You come from a completely different industry and switched to music. When did you get the inspiration to work with musicians and produce records? That’s not entirely the case. I do have a day job right now that’s totally unmusical - I am in sales, for an American company called Monster.com. It’s very unglamorous, but it funds the recording studio and label, and is basically one of the best jobs you can get in Florence, SC (this is a small town!) But when I lived in Los Angeles, I was a band merchandise buyer for the music based retail chain called Hot Topic. So for a very long time I was eyeball deep in the Los Angeles music industry. Not to toot my own horn, but I always had a knack for spotting talent, which was a large part of my job at Hot Topic – to figure out what the next big thing was going to be. The merch business is not exactly the same as the record business, but I learned enough to get me started from close friends who ran indie labels and managed bands. When we moved to South Carolina we decided to open a recording studio. My husband had a home studio in Los Angeles so it was a natural progression to open up a public location here in SC…in LA we had equipment but never could have afforded the overhead. The label was conceived out of the fact that we saw so much talent coming through the door at our studio, that it was just impossible to ignore. I believe Stephanie Fagan called it kismet, and it really was…it just all came together in this really cosmic way. The studio, the singer-songwriters, and the studio musicians are what make the label possible, it’s very much a Stax type model we have here at Yonder. As far as production goes, I’m still very new to it, but I am an organizer and a wrangler by nature, so I just sort of stumbled into the role. For many years I worked on the outset of the creation of music, and I was definitely a music business person. I was attracted to production as a way of being a part of the creative process, really wanting to get my hands dirty in all aspects of making a record. My husband engineers, and I was envious of the deep connection he had to the music as it was being made, and I wanted to be a part of that. We make a great team in the studio, I’m not sure I could do this with anyone else. 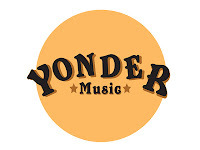 What is the story about the label’s name, Yonder Music? It’s because we’re making music waaaaaay over yonder…here in little old Florence, SC. We’re far away from the traditional “music industry” – bucking the system a bit but I think that makes us unique and special, and gives us a family vibe. Distribution seems a challenge to me, looking from the outside, for a small and starting label. Is the Internet, paradoxical as it may seem, a blessing for a start up? Absolutely! Nobody wants to distribute a tiny label in South Carolina with a bunch of unknown artists. Without the internet it would be impossible to get exposure. My husband always says, “Nobody wants you, until everybody wants you.” With regards to a big distribution deal, I figure around the time it becomes necessary, it will also become very possible. Internet radio, online bloggers (like yourself)...social sites, Pandora, Jango – these have all been intergral parts of building an audience for Stephanie’s music. We’ve been very fortunate, Stephanie’s record was well received and got many positive reviews in the online music community. I’ve always read there are two kinds of producers: recorders and influential. My hunch was you are in the latter category, which was confirmed by Stephanie Fagan. How do you know or feel what a bare song needs? As you said, producers all have a different ways of doing things, some are incredible musicians and songwriters in their own right (like Brian Eno and Alan Parsons), many are recording engineers (like Tom Dowd) that cross over into production – but that’s not me, so I suppose that puts me in the influential category by default. It’s my job to help the artist present the music in a way that it tells a story, and that has a consistent vision – to help create a true “body of work.” I like album rock - I am not a fan of pop singles. I actually learned how to create a cohesive body of work as a photographer, and also as a merchandiser – it’s the same concept of presentation, only you are applying it to music instead of visual mediums. I talk to the artists about what they are trying to convey – we have conversations about influences and what inspires them. We talk about concepts, and may decide something like “this song sounds like driving in the car with the wind blowing your hair” and it’s my job to arrange the right performances and instrumentation that will inspire that sensation when we hear it. Functionally speaking, in the studio I am the coach, the editor, the embellisher, and the organizer. I’m also a quality control person, which makes me a killjoy sometimes. I’m the one making you sing it again, “this time with feeling” haha! I’m also the one going through the bassline with a fine toothed comb, making sure there are no mistakes, or saying “you know what this song needs? Vibraslap!” It’s hard to tell someone that a song they wrote doesn’t make the cut for the album, or that their performance was weak and they need to step it up. But all my criticism comes from a place of love! My artists call me Mama Bear, if that sheds any light on my production and management style. I’m nurturing, but also tough. My artists trust me and know I share their goals. If I think something can be done better, it’s my job to speak up and say something so that we’re making the very best record we’re capable of. You wrote that you work with a set of musicians. What are their roles in the creation of a record? We have access to world class studio musicians in Florence, believe it or not. Like I said, it’s very much a Stax or Motown model. We connect a singer-songwriter with a group of musicians who help us execute the vision. These are really versatile guys, true professionals who can play anything from jazz to country to blues, gospel, rock and bluegrass. They work on projects for the label, but are also our go to guys for hire on tons of projects Ken works on at the studio that I do not release. The main three guys who played on Stephanie’s record had been playing together since the early 80s: two brothers, Ray and Timmy Berry, and bassist Steve Hamilton. They would play twenty different tempos and arrangements if I asked them to, until we found the sound we were looking for - they were incredibly good sports! Structuring Stephanie’s music was a lot of work because we started with these little acoustic demos that didn’t always have intros or solos or bridges, and created really big songs out of them. And much of it was done with just me and Ken and the musicians, because Stephanie was in Germany during the major recording sessions. We had practically the whole town pitching in on that record, different background singers on each song, a few different guitarists. There were so many notable performances: John Bazen who played an amazing dobro part on “Prodigal,” Tommy Hatfield who played all the lovely pedal steel work, Chris Cottros (who is Terri Clark’s touring guitarist) really saved us on a couple of songs where we were struggling to get the right guitar part. There were so many amazing players, and that I think contributed to all the special little moments and surprises on “Heart Thief” – it’s like a little Easter egg hunt catching all of them. On the flipside, James Scott Bullard has an excellent group of guys he plays with in his live act: bassist Kevin Singleton (who is my rock on many projects, I don’t know what we’d do without him!) Jeff Springs plays pedal steel and guitar, lead guitarist Tyler Roberts who is frick to JSB’s frack, a very talented organist (who also works with Stephanie) named Justin Banks, and a very talented drummer named Adam Brown. These guys are all total superstars in our local scene, we basically have assembled a supergroup. JSB’s new album will be very different from Stephanie’s because they will have played his new songs together many times prior to coming in to the studio to record. They will know their parts, so it will just be a matter of tweaking the arrangements, getting the best performances out of everyone, and embellishing with percussion and overdubs. That’s very different from “Heart Thief’ which had almost no pre-production work – all the parts were formulated and arranged IN the studio. Thank goodness we own a studio, or else it may have been the most expensive record ever made! It was like my “Chinese Democracy” sometimes I never thought it would be done. What is your own musical background as, at least I imagine, that you need to know about music to be able to assist artists in creating or translating their music from the home/practice room to the studio? Well, I’m no George Martin, that’s for sure! I’m just a lousy pianist and an ok singer. I used to be able to read music, but I am very out of practice. What I think I have to offer is the ability to understand the artist’s vision - really zero in and “get it” in terms of their point of view, and come up with a plan to execute it. You don’t need to be an orchestra conductor to do that, especially if you are surrounded by others who have those talents. I can say to a great session player “I want it to sound like X,” and they can do it without me having to explain it in super technical terms. While I am not a technical genius, my general musical knowledge is pretty deep and wide, so I have a lot of reference points. For example, if I tell my husband “I want the guitar to have so and so tone” he knows what guitar and amp and preamps and effects to use to create that. I don’t need to know how to technically make that happen, I just need to know what I want and keep coming up with good ideas to make the songs better. I have always been a ponderer of music; I don’t just listen, I examine music from all angles…conceptually, emotionally, historically – what were the influences and where were these guys coming from when they made this album? I think I apply that thought process to my production style. One of my most famous lines when we were working on Heart Thief was “make it sound like ponies!” Of course studio musicians hate that sort of direction haha, which is why I rely very heavily on my husband. He’s an excellent musician with a far greater technical vocabulary than I have, so he helps me translate that to the gang in a way they can work with. I’m getting better with my production lingo though, I can communicate more clearly to the musicians now than I could two years ago when we started Heart Thief. I think at first it was a lot of “I don’t know what I want, but that’s not it.” So in other words a whole lot of try this, try that, how about this or that, until I heard it and said BINGO! After some practice now I can say with confidence that I want a Wurlitzer on this song, without having to listen to twenty different other piano and organ sounds first. You worked with Stephanie Fagan. What did you recognise in her music, that made you want to release a record? Well her voice is a dream, first of all. It’s so warm, full, and earthy, and every tone that comes out of her mouth is just sumptuous. Her voice is familiar but also very unique, we toss a lot of comparisons around, but in the end she’s Stephanie - she’s not intentionally emulating anyone else. Her lyrics are outstanding, just honest as hell. She puts thoughts out there that most people would be uncomfortable confessing to. I like emotionally driven lyrics, I’m not extremely interested in anything too political or that has an overly detailed story line (contemporary country music does that too often.) At the same time, I also get irritated by intentionally vague lyrics…obscurity for the sake of being artsy. Stephanie tells you just enough to convey the emotions without getting so detailed that you can’t imagine yourself in her shoes. She’s also very clever, without being pretentious: for example “Two Strangers” really knocked me out when I first heard it. “Don’t know how I’d sleep at night with your warm breath against my shoulder, if you were my man. If just the thought of you, can make the ground shake, oh honey, heaven help your hands.” The idea of desperately wanting someone who you’ve never touched and can’t have, it’s ages old, but she makes it new with the way she spins it. There are absolutely no clichés in Stephanie’s lyrics or melodies, that’s why it was so important to make sure the music had just as many unexpected treats, and surprises. The instrumentation on ‘Heart thief’ is very diverse, making the album delightfully diverse. Was this more inspiration or blood, sweat and tears? A little of both, maybe? We wanted to give each song it’s own special voice – treat them like individual pieces, and some took longer to take shape than others. Some songs, like “Prodigal” were a piece of cake and came together quickly – in the matter of hours. Other songs like “Spring” were an absolute nightmare. We didn’t figure that one out until the wee hours of the morning during the last week of production. The timing on the intro was so off that we added a triangle to help create the illusion that the song was in time, when it really wasn’t. There was no click track, no count off…poor Chris Cottros was pulling his hair out trying to lay that intro down over Stephanie’s scratch guitars. The horn players were laying down their parts at 2-4AM, and I was so delirious I wanted to cry. I was practically useless – those poor guys! When Stephanie went in to lay down her final vocals she had trouble figuring out where the melody had run off to, it was just so drastically different from the way she played it…I had to sit in the booth with her, and cue her on when to come in. So that was a beast, for sure. But in all honesty that is now one of my favorite songs on the record. There were times when we were trying to intentionally push a song in a particular direction, and that approach tended to backfire. We did best when we said “ok let’s just try pedal steel on this” and then we let the pedal steel player come in and do their thing. The players truly contributed a lot to each song’s feel. Like I said, I’m not Phil Spector, I am really new to this role…but it seemed to me that my job was to assemble the team, pick the players, and communicate the vision as best as possible. I don’t want to micro manage the session players too much, or the engineer. Like, I’m not going to tell a seasoned pedal steel player how to play his instrument, that’s just insulting. It works better and you get a more unexpected and special performance if you just let your players have an opinion and play what they think sounds right. I’ve never been let down by doing it that way, and some of the most magical moments on the record came out of that approach. But really, we just hammered away at each song one at a time until we found the magic combination of instruments. I know there were a few times when Ken and Stephanie thought I was bonkers for wanting to put a certain instrument on a track, but it would usually turn out better than everyone thought. I do seem to have a knack for that particular aspect of production. And I also knew when to stop - I don’t think the record sounds overproduced…which is a small miracle considering how much time went into it! What are your ambitions over the coming period and what records can we expect? Well next on the agenda is a Gram Parsons tribute EP by James Scott Bullard & The Late Night Sweethearts and also featuring another artist I’ve been working with named Rebecca Morning. After that, is the full length James Scott Bullard & TLNS record I was talking about. Then we’ll be going back into the studio with Stephanie Fagan, to record an EP to be released this year, followed by a new full length record which will most likely to have a 2014 release date. Her next record is going to return to more of a folk sound, in the vein of her first record “Ideas For Your Earbone” more so than “Heart Thief.” Many of her new songs are very sweet and romantic – she’s in a different place than she was when she wrote “Heart Thief” and the new record will show a drastic change in her lyrics. But she’ll always be clever, and always have that voice of hers so never fear! I think in order for an artist to continue being relevant a drastic change in direction is necessary. In the early discussions we are having, we’re leaning in more of a Celtic Folk/British Folk/ meets bluegrass direction. So think of Natalie Merchant singing for Mumford and Sons, or Sinead O’Connor singing for Old Crow Medicine Show, for lack of a better description. Also with Stephanie back in the States, I believe she will have more to contribute to the production decisions, and we are likely to co-produce the next record. I have a few other artists I’m keeping under my hat for now, some are very young and I don’t like the idea of making a record until they are 18…everyone deserves a childhood out of the public eye. Mostly I just want to be able to afford to keep things going and keep making great records. We want to put Florence, SC on the map! There’s something in the water here that just breeds amazing musical talent, and we want to tell the world about it.